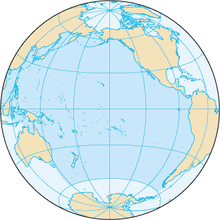 The Pacific Ocean is a large body of water. It is located in the East of Asia and West of the Americas. There are many islands in the Pacific Ocean. This page was last edited on 1 December 2018, at 11:01.